The Flash veteran Danielle Panabaker will direct this week's episode of The Flash, titled "Godspeed," and while the titular villain was widely assumed to be making his first appearance in the episode, all of the publicity in the run-up to now has centered on the conflict between Barry (Grant Gustin), Nora (Jessica Parker Kennedy), and Eobard Thawne (Tom Cavanagh). 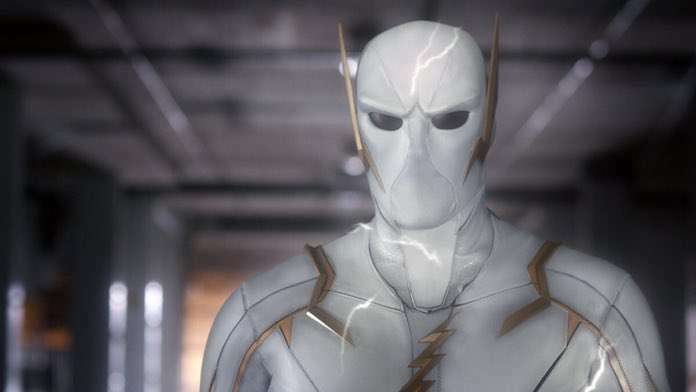 Now, finally, The CW has released the first official look at Godspeed, a potentially game-changing new speedster set to debut on the series tomorrow. Godspeed first appeared in The Flash: Rebirth #1, and was created by Joshua Williamson and Carmine Di Giandomenico. 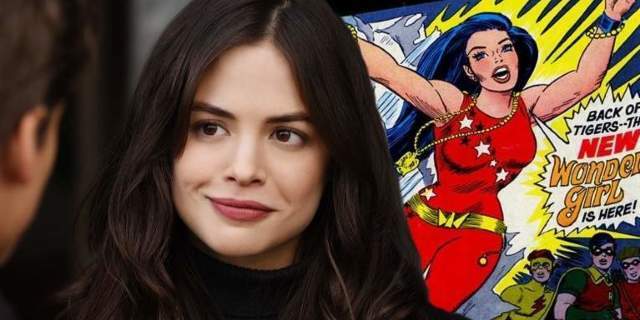 The character is a relatively recent addition to the Flash mythos and has an ability that most speedsters would die for. 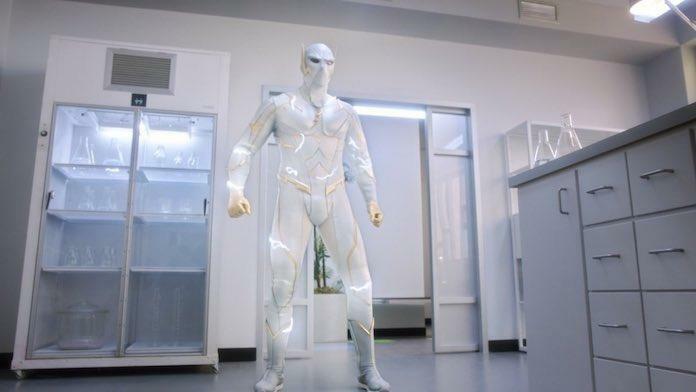 He has the ability to separate speedsters from their connection to the speed force, which can kill them in the process. It makes him immensely deadly, which is not to mention all the other things he can do, including possibly even being faster than The Flash. The character of August Heart initially started out as a friend of Barry Allen, but once he was revealed to be Godspeed he went all villain, and we're not quite sure how the show will handle his motivations. "One of the factors that really made me want to direct was that having been on the show for so long and having paid attention, I felt that I probably had a leg up on any new directors who were coming in," Panabaker told ComicBook.com last week. "It's a very specific language, and I understood it just by the fact that I have been around for so long and have been paying attention. And I think it also did help me with the cast because they know that I've been in the trenches with them, and I also intimately know their storylines in a way that, again, a new director coming in has probably seen a dozen or so episodes, and I lived them with them in a very different way." You can check out the official synopsis for the episode below. 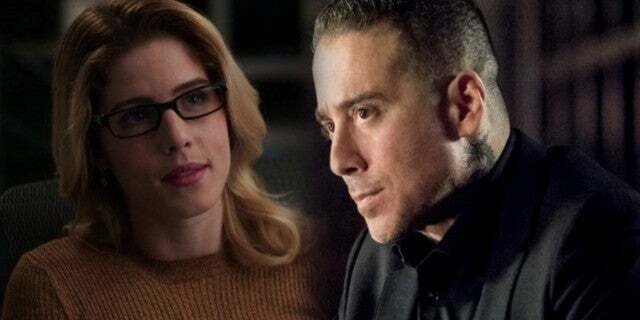 DANIELLE PANABAKER DIRECTS — After discovering that Nora (Jessica Parker Kennedy) is working with Thawne (Tom Cavanagh), Barry (Grant Gustin) and Iris (Candice Patton) disagree about how to handle their daughter in the wake of this shocking news. Team Flash isn’t sure they can trust Nora, so they go through her journal to find out exactly how she came to work alongside their greatest nemesis. Danielle Panabaker directed the episode written by Judalina Neira & Kelly Wheeler. The Flash airs on Tuesday nights at 8 p.m. ET/PT on The CW. "Godspeed" will premiere on April 16.